I qualified from Cambridge Veterinary School in 2000. Since then I have worked in a variety of practices in the UK as well as a stint working in Australia and New Zealand. I started work at Twickenham Veterinary Surgery in October 2015. I spend my time mainly consulting and operating, including some ultrasound. I enjoy all aspects of my job from meeting all the animals and their owners through to medicine and surgery. The best bit is working with such a fantastic team of people, it really is a pleasure to come to work! 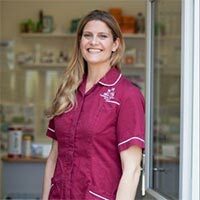 Twickenham Veterinary Surgery is the loveliest practice I have worked at ever, and I have worked all over the UK and Australia/New Zealand!